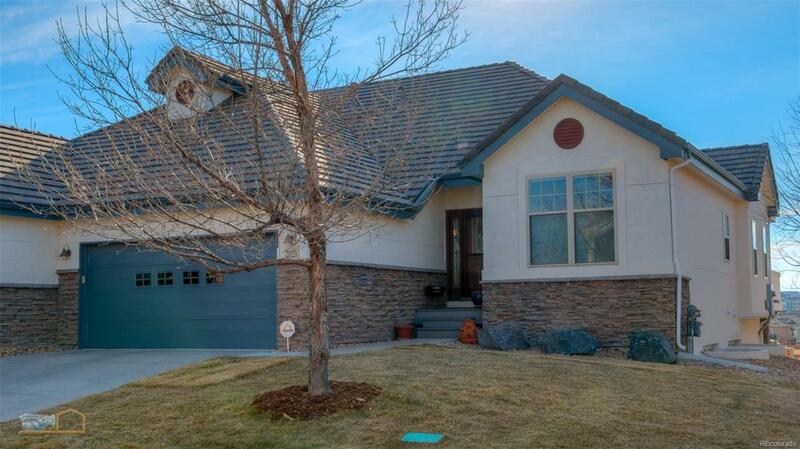 Enjoy fabulous sunsets & unobstructed back-range views from maintenance free patio home! Easy living w/ open flr plan & plenty of storage. Great rm w/ gas fp walks out to extended deck w/ retractable awning & gas bbq. Kitchen features expansive granite ctr. island, gas cooktop. Spacious main lvl master ste. w/ luxury 5 piece bath & walk-in closet; Garden lvl. family rm. w/ wet bar in lower lvl. adjoins 2 more bedrms., full bath, more closets, & storage. 2 pools, tennis, fitness, clubhouse.